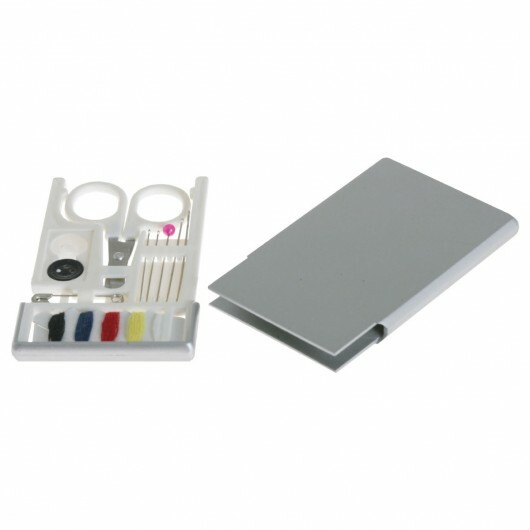 In a compact kit these sewing sets take up very little space and offer a prime opportunity to get your logo seen. Everyone has a story of how they have been away on holidays and there has been some sort of wardrobe issue - with these compact travel sewing kits these issues can all be avoided! They're super compact and contain: scissors, 5 colour threads, sewing needles and pin, black/white button, safety pin and a travel case. Perfect for trips away, camping or have handy around the house.